Automatic Pro Review: Hint: It’s Awesome! Yesterday I got my Automatic Pro, and couldn’t wait to get going with it… Here’s some basics about what this device does! Hidden up under your dash. Easy to get to, but won’t be seen or be in the way! Example.. Open garage door when approaching home… Turn on AC when approaching home, etc. Example.. Auto log miles for submitting expense reports for work. Driving analysis — see how you can change habits to save fuel costs! Setup was guided and very easy. The device will automatically gather your vehicle information from the car computer. You just open the app, put in your unique device code, then go through a bit of setup, a software update if needed, and then you’re good. 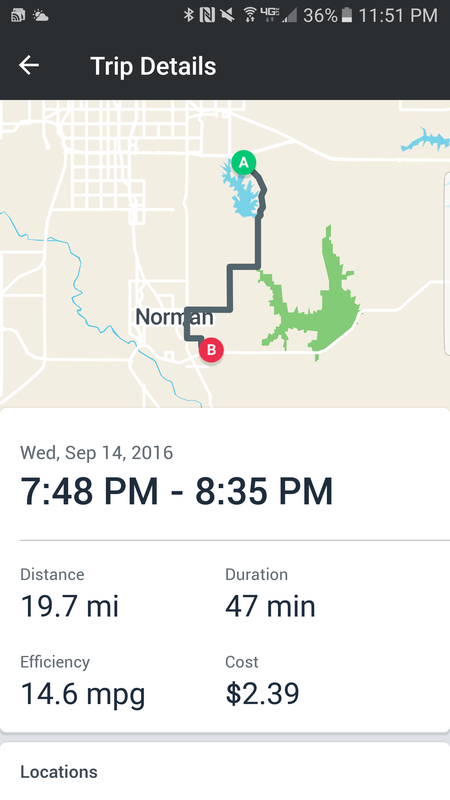 Once you go for a drive, it will lock in even better, and get you setup on the networks for the tracking. I particularly enjoy the trip cost calculations. This is aided by the ability to select a desired fuel type in the settings panel, to adjust for costs of various fuel options. This is a comment to the admin. I discovered your Automatic Pro Review: Hint: It’s Awesome! – BTSull.net page by searching on Google but it was difficult to find as you were not on the front page of search results. I know you could have more visitors to your website. I have found a site which offers to dramatically improve your website rankings and traffic to your website: http://acortarurl.es/57 I managed to get close to 500 visitors/day using their services, you could also get many more targeted traffic from search engines than you have now. Their service brought significantly more visitors to my site. I hope this helps!